Mega Sale! 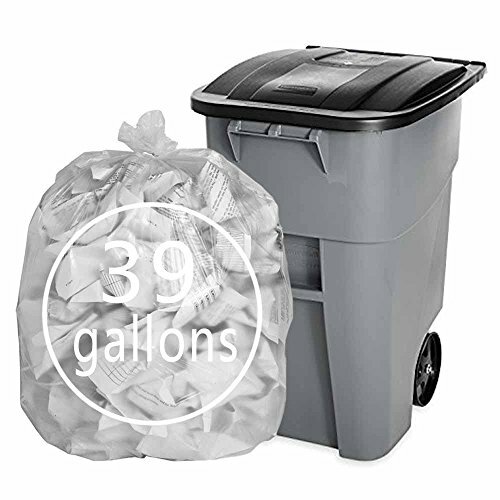 Save 24% on the Pekky 39 Gallon Clear Large Trash Bags (Lawn and Leaf), 65 Counts by Pekky at The Net Stores Network. MPN: FBA_pekky-83114. Hurry! Limited time offer. Offer valid only while supplies last. Large 39-gallon size holds a good amount, ideal for yard work, work shop, garage clean-up and more. View More In Composting & Yard Waste Bins. If you have any questions about this product by Pekky, contact us by completing and submitting the form below. If you are looking for a specif part number, please include it with your message. Hefty Trash Bag 39 Gal. 1.3mil Plastic Black - 30 ct.